You know all about Facebook. You know all about Qmania. 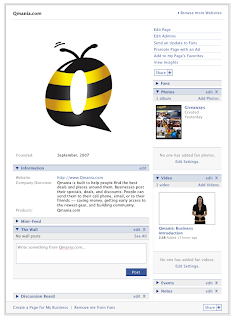 Explore the hybrid at our newly up and running Qmania Facebook Group. We'll be adding photos, videos, and news to it. Be sure to become a fan to receive special info and invitations to events.